You can lean in. Just don’t call it that. 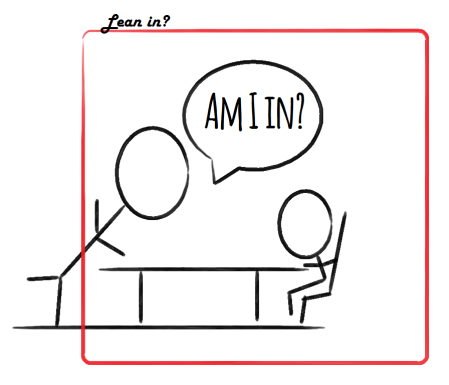 My new pet peeve: lean in. I just stopped reading an article because the writer used it twice in two paragraphs. Actually, she used lean into. And earlier this evening I saw it in the WalMart employee’s magazine. What does that even mean? I know there’s a women-supporting-women and career success thing called Lean In, but do we ALL have to use it now? No, we don’t. Please stop. Now. This entry was posted in Uncategorized and tagged catch phrase, done-to-death, lean in, pet peeve, WalMart by T A Munroe. Bookmark the permalink.